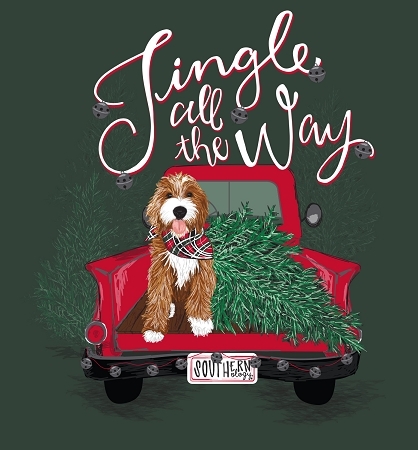 Jingle All the Way, a holiday design from Southernology®, features our very own shaggy office dog, Oliver Hemsworth, wearing a festive bandanna sitting sweetly in the bed of a classic red truck. 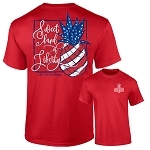 You can almost hear the jingle bells that adorn the back of the truck and smell the freshly cut fir Christmas tree that's ready for colorful lights and ornaments. 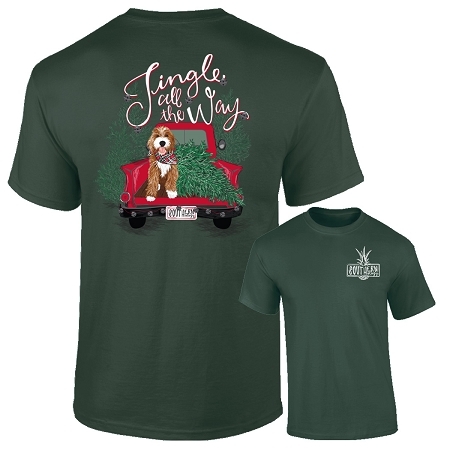 Grab the hottest Christmas shirt of the season and get ready to head to the Christmas tree farm snuggled up next to your fur-legged best friend! 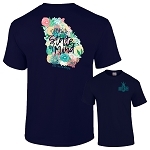 This design is printed on a Blue Spruce short sleeve Comfort Colors t-shirt and is sure to get you in the Christmas spirit.